Stir together and let sit for a little while to let the flavors blend. If you want it thinner, add more water. On chicken. I stir fry chicken tenderloins in pepper, paprika, and a little olive oil until outsides are crisp. Then bake at 375 degrees for about 10 minutes to cook through. 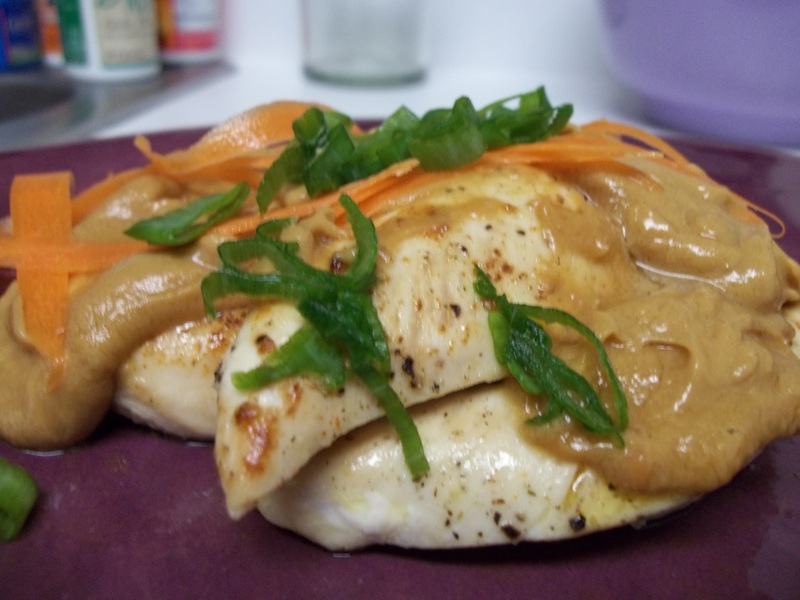 Pour peanut sauce over the tenderloins and serve with some carrot shavings and chopped scallions. Or, you can put the chicken tenderloins on skewers and drizzle sauce over each piece for a party pleaser! Over pasta. To spice up pasta night, cook your favorite spaghetti and serve with peanut sauce (with carrot shavings and chopped scallions on top). You can also add chopped peanuts on top for some crunch. On rice. Use the peanut sauce as a stir fry sauce. Cook your favorite rice and saute your favorite veggies, then pour peanut sauce over and mix well. Add grilled chicken or pork for extra protein, if desired. On veggies. 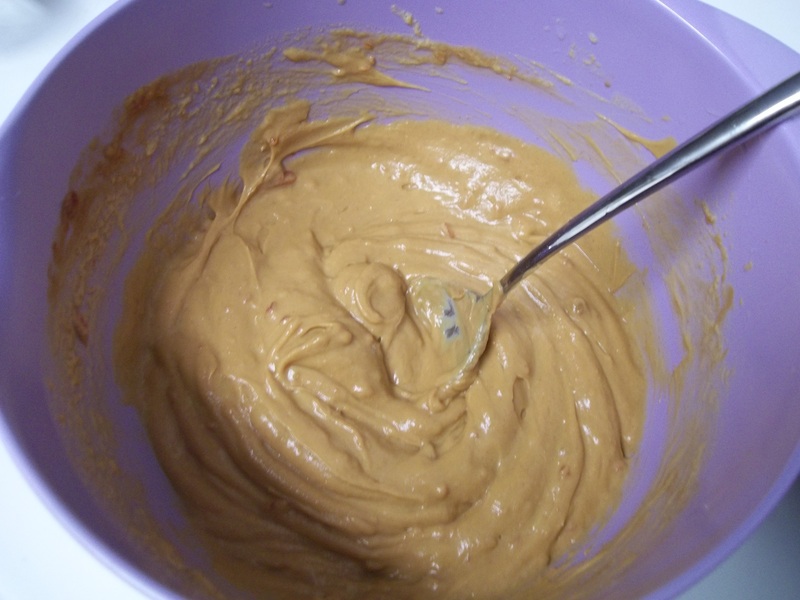 Use the peanut sauce as a veggie dipping sauce! 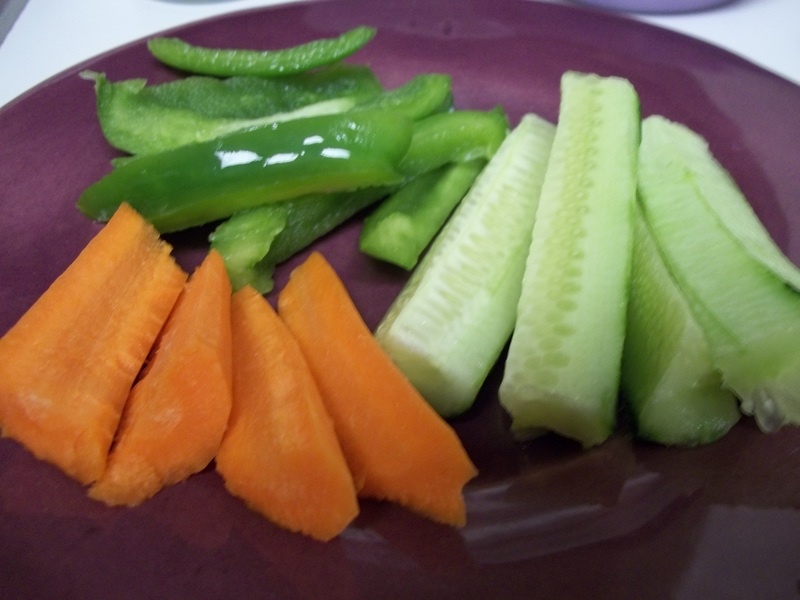 Peppers, carrots, cucumbers… all of your favorites! That looks like a yummy recipe. Mike and I are planning to try the sauce with grilled chicken tomorrow night. Thanks for the tip!